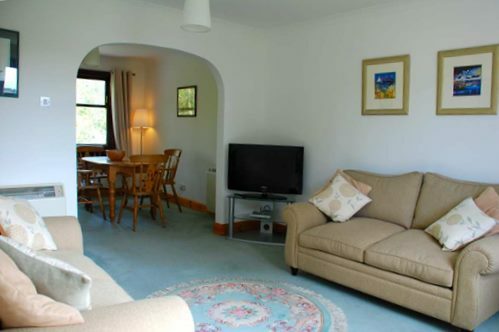 The cottage is furnished to a high standard and is fully carpeted. There is total control heading and double glazing, being warm and cosy in winter and light and airy in summer. The bright lounge/Dining room is equiped with two sofas,soft lighting, Digital Flat screen TV, and DVD player, Radio/CD player, Library of books, Games, and DVDs. The dining area overlooks the rear garden with trees to the rear inviting many birds to the feeders. 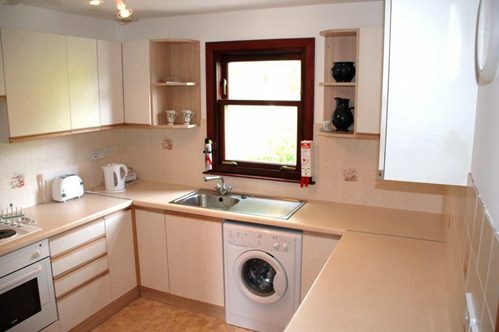 Tea towels, soap powder, dishwasher tablets and all cleaning materials are provided. 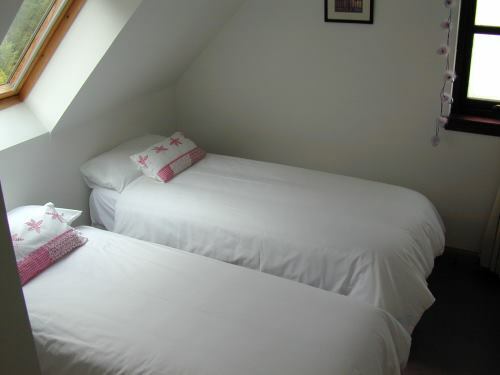 There are two bedrooms comfortably furmished with one king size bed and the other as singles. Both bedrooms have fitted wardrobes and bedside tables with soft touch lighting and mirrors. 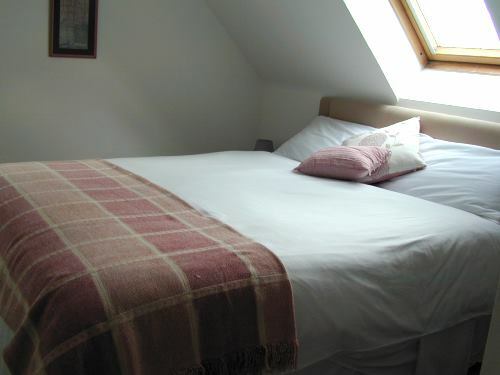 All bed linen is provided including towels. A travel cot is available however guests are asked to provide their own cot bedding. The upstairs bathroom is equipped with a walk-in shower, washbasin and W.C. There is a second cloakroom downstairs.